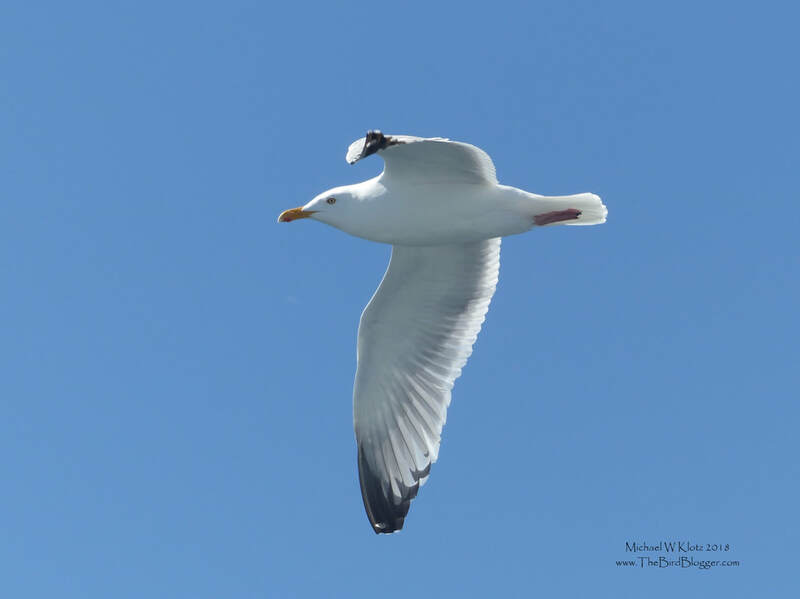 There are three common gulls off the coast of Vancouver Island during the late spring and the one that seeming was most common on this day were the Herring Gulls. We were some distance of the coast on the shelf following a fishing vessel who were fishing for rock fish. We were on a tour out of Tofino with Ocean Outfitters. Most of the birds were following the boat as the unmarketable parts of the fish were being thrown overboard. This gull seem to think our boat might give up some morsels but to no avail.